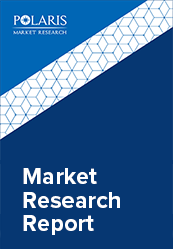 The global liquid nitrogen market is anticipated to grow at a CAGR of 4.3% between 2018 and 2026. Liquid nitrogen has been the inorganic and biggest volume chemical sold worldwide, which is used for technical and commercial applications. Nitrogen in liquid state is used for freezing of food, grinding and deflashing of rubber and plastic, metal treating, cooling, pulverization, biological sample preservation, and other temperature-related applications. It is also used for combating fire in coal mines thus enhancing ire safety eliminating the risk of losing huge quantity of natural resources, and stopping the release of toxic gases and fumes that might damage the environment. It is applicable for extensive cooling in several industrial processes and for the food industry where cold storage of crucial importance. Liquid nitrogen also helps in cooling several types of mechanical equipment which are required to be kept extremely cold environment and also for snap-freezing food products such as hamburger patties, chicken and fruits preserved for out of season. Moreover, inert liquid nitrogen blankets are applied over highly reactive liquids that are stored in tankers, in varnish producers and within potato chip packets. Liquid nitrogen is intended for use as a cryogen in medical and pharmaceutical applications due to the cold temperature of the liquid. The boiling point of liquid nitrogen is -196ºC. The most ordinary application segments for cryotherapies applying liquid nitrogen include common external skin conditions include removal of moles, warts, skin tags, verrucas. More serious external ailments can also be addressed with this technique, such as solar keratoses and small skin cancers. The global liquid nitrogen market has been segmented based on function, processing technology and end-use. The market is further segmented into two types of function including refrigerant and coolant. By processing technology the market is further segmented into pressure swing adsorption and cryogenic distillation. End-use is further bifurcated into food & beverages, healthcare, manufacturing & construction, chemicals & pharmaceuticals, rubber & plastic and others. Cryogenic distillation was the largest segment by processing technology owing to its cost-effective nature compared to the other technologies for production of several industrial gases. Coolant was the largest segment in liquid nitrogen market and was the largest functional segment owing to its use in several applications such as immense, injection and spray cooling. Metal manufacturing and construction was the largest application segment in 2017 in the liquid nitrogen market. Technological development and increasing application of liquid nitrogen in fabrication processes and metal refining is anticipated to be the major factors driving product demand in this application segment. The liquid nitrogen market is further segmented by region. North America was the leading regional market in 2017. This region is home to most of the world’s top and other leading food manufacturing and metal processing companies. Further expansion of the manufacturing sector in the region especially in Mexico and the U.S. are anticipated to be the yet another reasons. Asia Pacific regional market is projected to develop rapidly owing to its developing manufacturing base and presence of several growing economies in the region. China is anticipated to be the largest market in the region. It is the leading nitrogen supplier of Asia Pacific region. Construction, pharmaceuticals, food manufacturing, metal processing are some of the primary end-use industries expected to drive product demand over the forecast period. Europe is expected to experience a sluggish growth over the forecast period. Pharmaceutical industry is anticipated to be the potential end-use segment of this region. Some of leading industry participants operating currently in the liquid nitrogen market includes Nexair LLC, Taiyo Nippon Sanso Corporation, Emirates Industrial Gases Co. LLC, Messer Group, Southern Industrial Gas Berhad, Gulf Cryo, Air Products and Chemicals, Inc., Air Liquide S.A., Praxair Inc., and the linde group.